Last week I hurt my lower back. I tried to swing a kettlebell that was much heavier than what I normally use. It was going really well until I felt a tweak in my lower back followed by a sharp jolt of pain. It’s at that moment I knew I messed up. I had just committed myself to at least a week of lower back pain and impaired movement. If you’ve ever had lower back pain you’d know that it makes life a living hell. Recovery can take anywhere from a few days to a couple weeks depending on the severity of the injury. 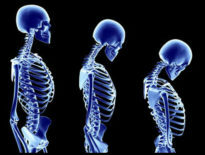 In the past I covered how you can prevent back pain but what should you do if you are already in pain? The good news is that you don’t have to do much to reduce lower back pain and the method is simple. Unfortunately it’s going to hurt (initially) but once you get going you will feel 100x better. When I climbed out of bed on the following morning after my kettlebell incident I could barely stand up straight. I took a really hot shower, focusing the water onto my lower back. This gave me temporary relief. Within minutes of sitting on the bus to get to work I felt pain shooting into my glutes, hips and upper back. I took a painkiller and this gave me mild relief… for a few hours. When I got home that day I knew exactly what I had to do to reduce my lower back pain. One of the best investments you can ever make for your body is a proper foam roller and massage ball. These tools, worth their weight in gold, allow you to self-massage sore muscle areas, helping release tightness or trigger points. A standard foam roller is a cylindrical section of firm foam, 6 inches in diameter and 12 inches in length. They come in varying degrees of firmness (depending on material of construction) and surface textures (smooth or textured). The foam roller, due to its size, is able to massage a greater surface area. Thus, it’s best used for generalised pain or tightness and to massage large parts of your body at once. There are many different brands out there, some better than others. made to a high production quality. will last you many, many years, if looked after properly. 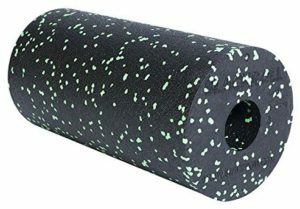 I personally recommend the German made Blackroll Foam Roller. It’s harder than most average foam rollers which is a good ting as other roller can be too soft and therefore ineffective. foam rollers are also easier to use than trigger point balls because they massage a greater surface area. 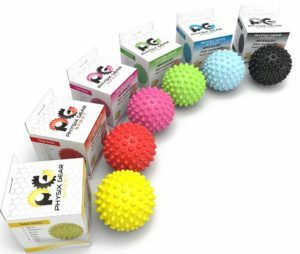 Trigger point balls perform the same purpose as foam rollers but, coming in various sizes, target more specific areas of the body. Foam rollers are an excellent piece of affordable kit to assist muscle recovery and tension relief. The benefits of applying self-myofascial release massage include enhanced muscle recovery and a swifter recovery period, which in turn can enhance overall athletic performance. A massage ball is, as the name suggests, a small firm ball. They come is varying sizes, ranging from a golf ball to lacrosse ball and can be smooth or spiky. Massage balls are far more effective at isolating problem areas in your body that a foam roller would normally not reach. They allow you to do your own deep tissue massage and are best suited for sharp, isolated pains and knots. Compared to a foam roller a massage ball is much smaller and discreet so you can take it with you almost anywhere and massage on the go. My preference is for a massage ball with small studded “spikes”. The spikes help massage even deeper into a musle knot. I personally recommend the Physix Gear Sport massage ball. Not only does it have a lift-time guarantee, it also comes with a free book showing how to best use it. To put it simply, yes it does. Think about it: you have a tight set of muscles or a muscle knot and you are applying pressure to work out the knots. In essence the aim is to self-tenderise your muscles. This is known as “self-myofascial release”. You are in control at all times and are able to regulate the “healing process” by applying varying levels pressure. This release allows normal blood flow to return and restoration of healthy tissue. The more you roll your sore muscles, and endure the pain, the better you will feel and the faster you’ll recover. If you still feel strong pain after a few rolling sessions you should consult a doctor or physiotherapist. The first thing I did was self-massage my lower back with my thumbs to find the muscle knots and areas of my back and glutes that were sore. As expected, I found many sore areas. Most notable was the right side of my middle back and my right hip, just above my glute. I decided to first foam roll my entire back and glutes. This was to assess how painful the massage ball was going to be (very!) and to loosen up and prepare my body for more intense massaging. As I was foam rolling I made an effort to focus rolling on the areas that were the most sore. After 10 minutes I stopped and switched to the massage ball. I placed the ball directly under one of the sore spots I found with my thumbs and laid down onto the floor. The ball was between the floor and my back. Rolling very slowly back and forth over the ball I began to work (through gritted teeth) the knot. At first the pain was incredibly intense but after a few minutes it started to get better. After 5 minutes I changed the position of the ball to a different muscle knot and repeated the process. At the end of my rolling session my lower back felt so much better. It wasn’t completely healed but I regained significant mobility. I decided to also take the massage ball to work; placing it between my lower back and the chair support. As I was sitting I was pushing back onto the ball, working the knot in my back. I went on to repeat this rolling regime twice a day (morning and evening) for a week, after which the pain was almost non-existent. I can’t recommend foam rolling and massage balling enough! It will improve the quality of your life and help you recover from muscle pain faster than if you were to let it heal on its own. * I’m not a medical professional. All information presented here is my opinion unless otherwise stated. Consult a doctor or physiotherapist before attempting to treat any serious pain. 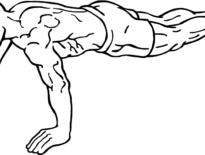 Tall Health	Are Push-Ups Harder For Tall People?